I have been a big fan of Stillman and Birn sketchbooks ever since getting my first Zeta Series 7×7 sketchbook. So recently decided to branch out and try the Beta series 7×10 spiral-bound since I’m getting into watercolors more. I was so excited, I even used the inside cover and first pages, which is rare for me as I usually make a few tentative scribbles in the back first. 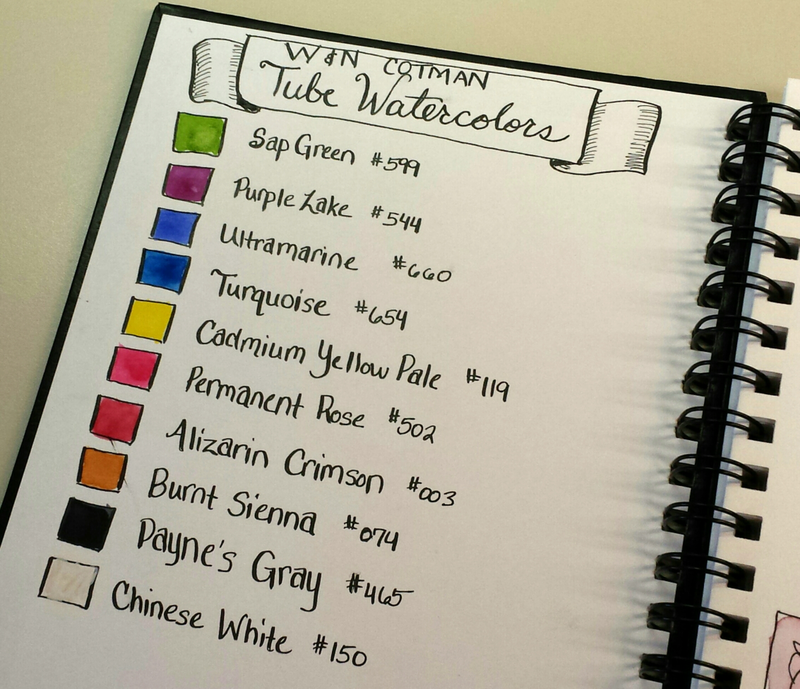 On the inside front cover I decided to make a color chart of the watercolor tube paints I have in my Altoids tin sketch kit, using my Noodlers Ahab inked with Platinum Carbon Black. 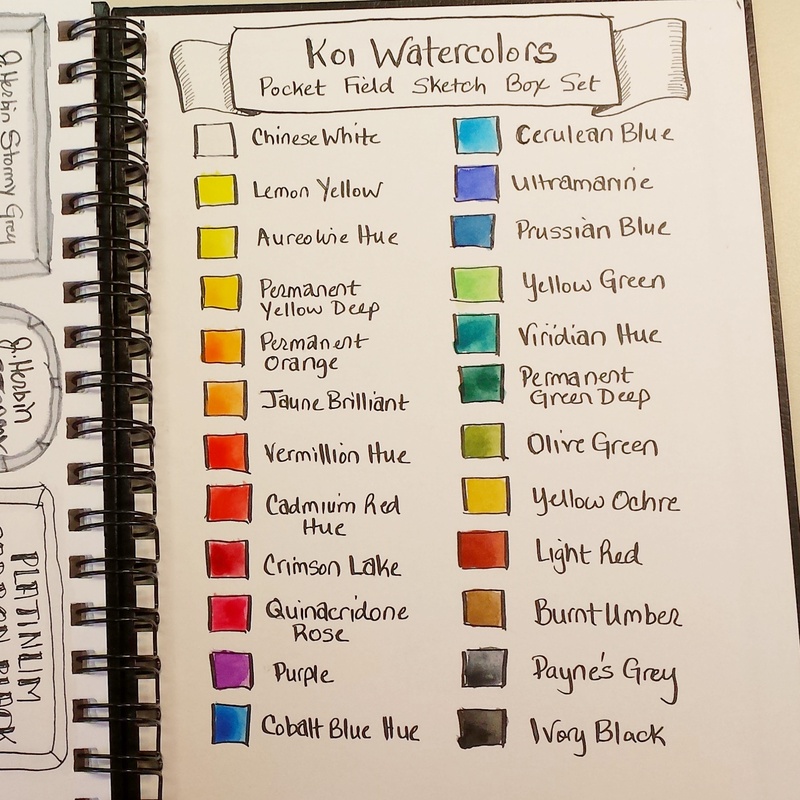 And on the inside back cover, I created another color chart of my Koi Watercolors Pocket Field Sketch Box. First Impressions? I’m really like the Beta paper, it is a nice thick paper that handles watercolor beautifully. I am eager to continue my experiments with it. I love all your charts & swatches you do on your blog, great work!